Investigators have so far said that pilot error or a technical fault, rather than terrorism, are most likely to have caused the Defence Ministry's Tupolev-154 to crash into the sea. "The casing holding the flight recorder is in a satisfactory condition," the ministry said in a statement. "After it is technically cleaned in distilled water we will start transcribing it." The Interfax news agency, citing a law enforcement source, said a second flight recorder had also been found in the wreckage of Sunday's crash, but not yet raised to the surface. One of the two black boxes on a Russian military jet that crashed into the Black Sea with 92 people on board has been found, the country's Defense Ministry said Tuesday, according to the state-run Sputnik news agency. But it could take two weeks or more just to extract data from the recorder, aviation expert Col. Gen. Pyotr Belonozhko told Russia's state-run RIA Novosti. 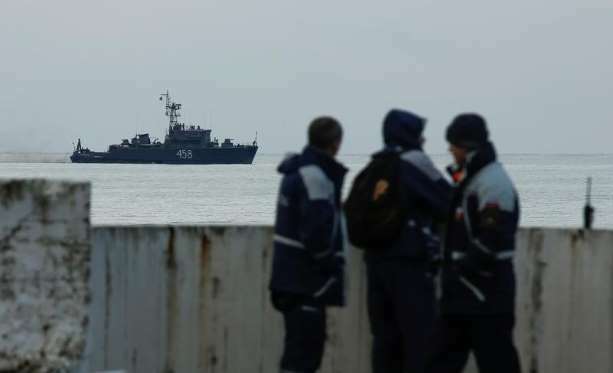 Rescue teams have found a flight recorder from the military plane that crashed into the Black Sea over the weekend, according to Russia’s defense ministry. The ministry said in a statement that the flight recorder was found a mile from shore early Tuesday morning. State television showed footage of rescue workers on an inflatable boat carrying a container with a bright orange object covered in water. Russia’s Interfax news agency, citing an unnamed source, reported that Moscow had grounded all ageing Soviet Tupolev-154 planes until it understood the reason for Sunday’s crash, according to the Reuters news agency. All 92 people aboard the Russian military’s Tu-154 aircraft that went down on Sunday are believed to have died when it crashed two minutes after taking off from the southern Russian city of Sochi. The 84 passengers included dozens of singers from Russia’s world-famous military choir who were heading to Russia’s base in Syria to perform at a New Year’s concert. About 3,500 people, 45 ships and 192 divers were sweeping a vast crash site for bodies of the victims and debris, and dozens of drones and several submersibles were also involved in the search. On Tuesday, rescue teams had so far have recovered 12 bodies and numerous body fragments, which were flown to Moscow for identification. Divers found fragments of the fuselage, parts of the engine and various mechanical parts at night, the defense ministry said. Officials did not announce the cause of the plane crash, but they were anxious to squelch speculation that it might have been caused by a bomb planted on board or a portable air defense missile. The FSB said that investigators were looking into bad fuel, pilot error, foreign objects stuck in the engines or equipment failure. But some aviation experts noted the crew’s failure to communicate any technical problem, as well as a large area over which fragments of the plane were scattered point at a possible explosion on board. 0 Response to "Russia finds main black box from Black Sea crash jet"